Approximately 14% of dogs suffer from some form of Canine Separation Anxiety, according to American veterinarians. It is the most common form of stress for dogs and it is reported to be on the increase. My 4-year-old Miniature Schnauzer Max suffers from this. Fortunately, in Max's case the symptoms are only mild, but they are a cause for concern all the same. Canine Separation Anxiety is a neurological (nervous) behavioural problem caused by the dog being apart from the person he is most attached to. When you leave him, the dog becomes stressed by the uncertainty of an outcome. In other words, not knowing when you are going to return - or even if he might be punished. The good news is that Canine Separation Anxiety is a treatable disorder. Canine separation anxiety in puppies is fairly common, especially in those adopted from animal shelters. They may have been adandoned once already and fear it happening again. A puppy will emotionally latch on to his new owner who has taken the place of his mother and siblings. Although you want to shower your new puppy with love, it's important to leave him alone for short periods to avoid him becoming totally dependent on you. I was working from home when we got Max. Perhaps it would have been better if we'd left him on his own more in the few weeks after we brought him home. Symptoms are not commonly seen in middle-aged dogs, although dogs that develop symptoms when young may be at risk later on. Canine Separation Anxiety is also common in older dogs. Pets, age and - like humans - their senses, such as hearing and sight, deteriorate! They become more dependent on their owners and may then become more anxious when they are separated from them - or even out of view. So what can you do if your dog is showing signs of Canine Separation Anxiety? 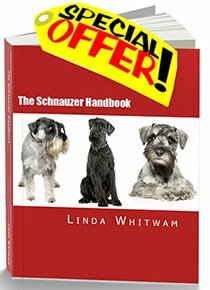 Every dog is different, but here are some tried and tested techniques which have proved effective for some dogs. Keep arrivals and departures low key. For example when I return home, I make Max sit and stay and then let him out into the garden without patting or acknowledging him. I pat him several minutes later. Leave your dog a “security blanket” such as an old piece of clothing you have recently worn which still has your scent on it. Leave a radio on - but not too loud- in the room with the dog so he doesn’t feel so alone. Tire your dog out before you leave him alone in the house. Take him for a long walk or play fetch until he runs out of steam. When you leave the house he’ll be too tired to make a big fuss. If your dog is used to a crate, then try crating him when you go out. Many dogs feel safe in a crate, and being in a crate can also help to reduce their destructiveness. Pretend to leave the house, but listen for a few minutes. A word of warning – If your dog starts to show major signs of distress, remove him from the crate immediately as he may injure himself. Begin with very short departures to see how long you can leave your dog before he or she gets anxious. This is also a good technique for dealing with Dog Separation Anxiety in puppies. In severe cases, the dog may require medication from a qualified veterinary. Before this happens, the dog needs a thorough history and medical examination to rule out any other behavioural problems or illnesses. Another technique for reducing separation anxiety in dogs is to practice the common "sit-stay" or "down-stay" training exercises using positive reinforcement. The goal is to be able to move briefly out of your dog's sight while he is in the "stay" position. Your dog then learns that he can remain calmly and happily in one place while you go to another. To do this, gradually increase the distance you move away from your dog. As you progress, you can do this during normal daily life. For example, if you're watching TV with the dog by your side and you get up for a snack, tell him to stay and leave the room. When you come back, give him a treat or praise him quietly. Dog Separation Anxiety is NOT the result of disobedience or lack of training. It’s a psychological condition. Your dog feels anxious and insecure. NEVER punish your dog for showing signs of separation anxiety. This will only make him worse. NEVER leave your dog in a crate if he is frantic to get out. It may cause him physical or mental harm. Finally, remember that dogs are pack animals and you are pack leader! It’s perfectly normal for your dog to show his displeasure at you leaving by barking. It’s also natural for him to be delighted when you return. This is only a problem if it becomes a dependent relationship in which your dog is heartbroken without you. Most dogs suffer only mildly and this is can often be cured. Correct handling of a young dog can avoid Separation Anxiety in Puppies althogether. ©Copyright Linda Whitwam 2008. No reproduction permitted. This information, while thoroughly researched, is intended to provide guidelines only. If you are worried about your dog's health or behavior, consult a trained professional such as a veterinarian or animal behaviorist.